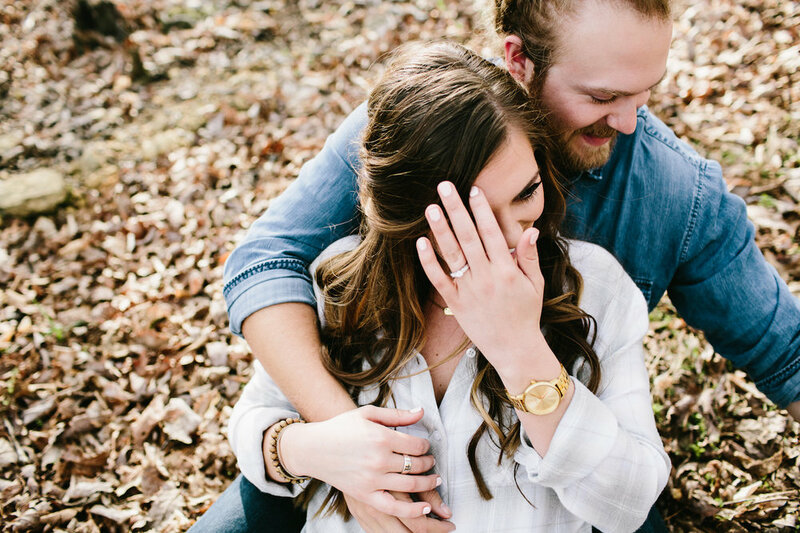 "Blake proposed to Ellie at a roller skating rink so right away we knew they were going to be a fun couple. 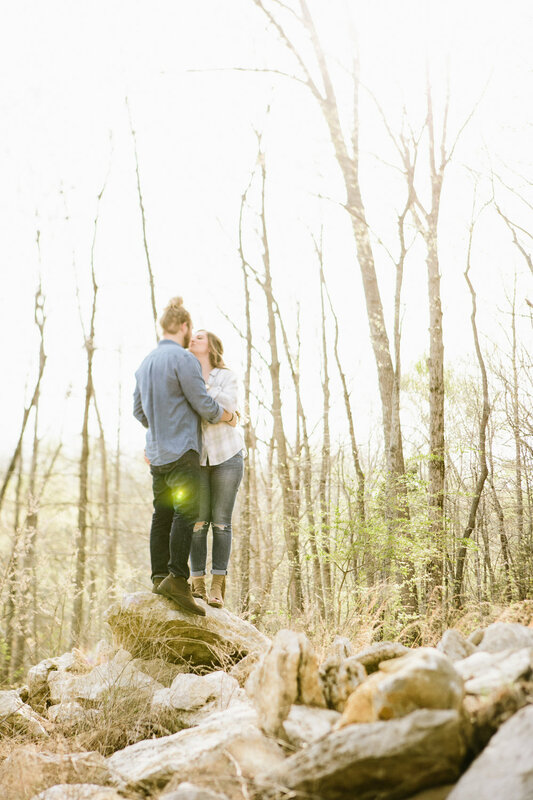 After meeting Ellie + Blake to talk about their engagement shoot, Megan - of Locklane Weddings and Events - and I thought it would be a fun project to do an adventurous engagement shoot. 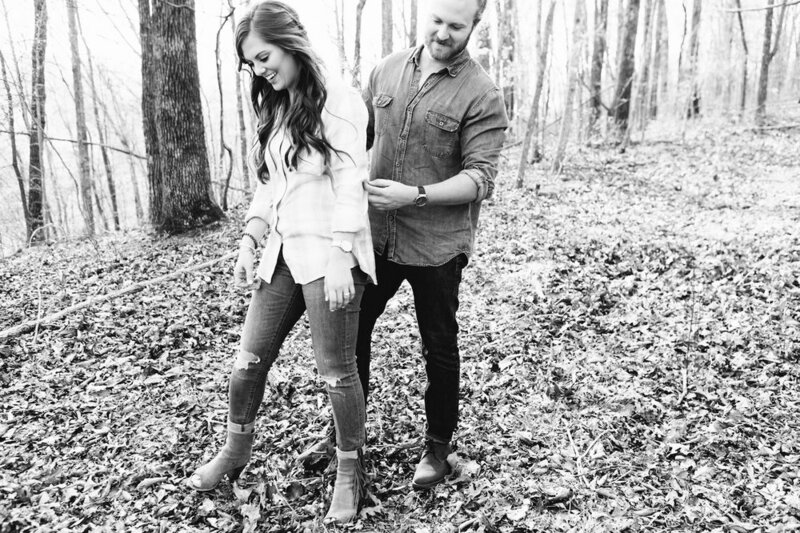 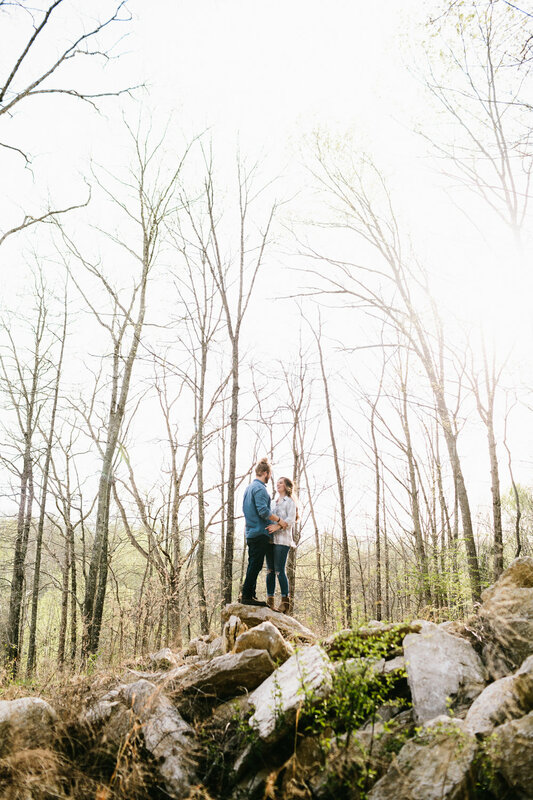 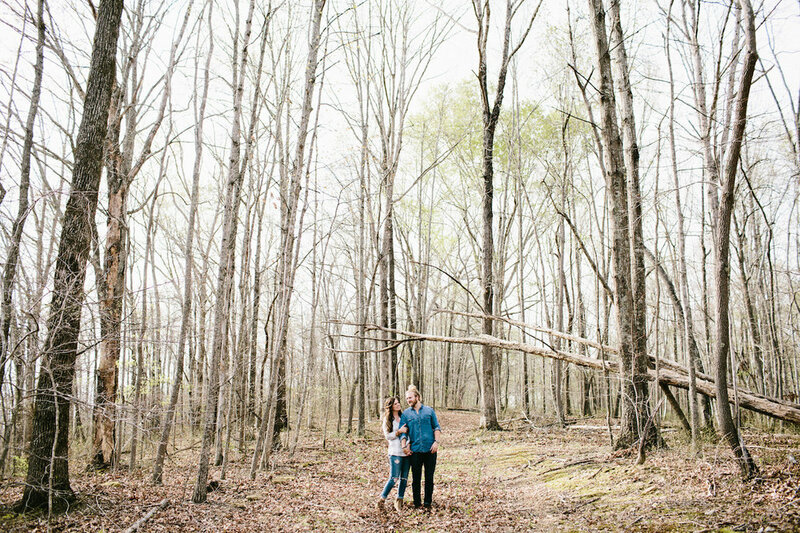 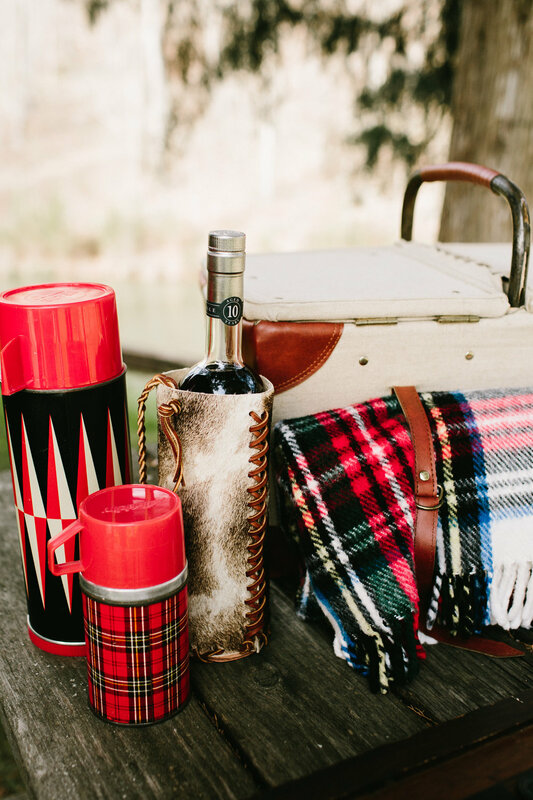 Some of their favorite activities together include hiking and camping so we teamed up with Moonshine Hill to create their perfect day. 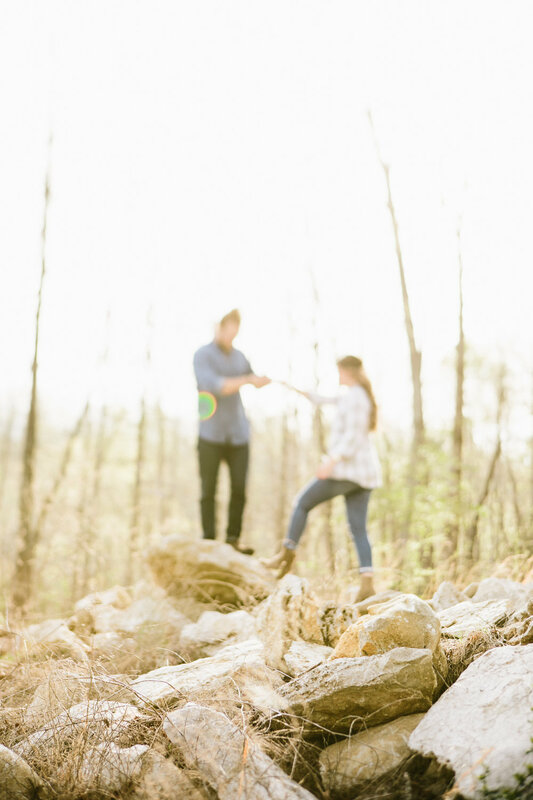 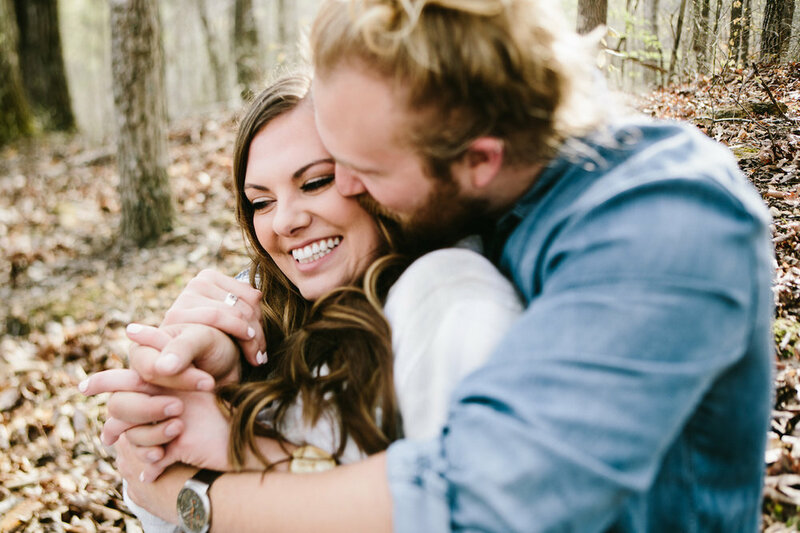 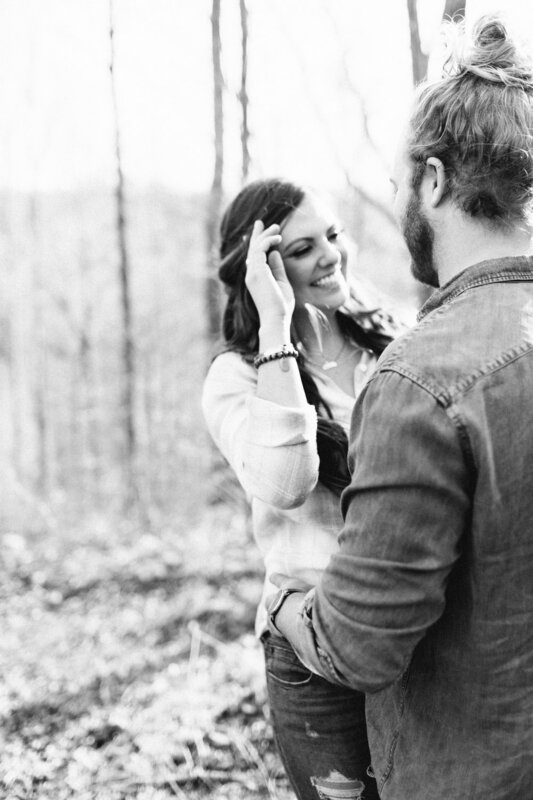 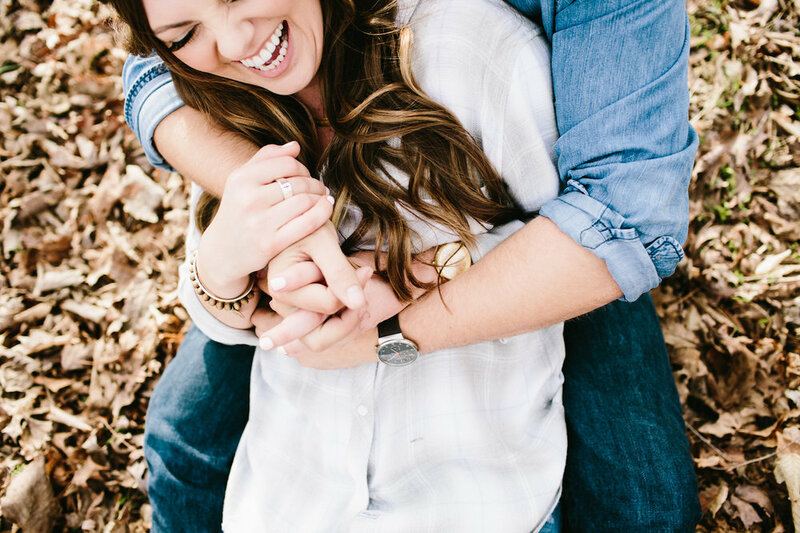 High Five for Love's photographic style beautifully complimented Ellie + Blake's non-traditional casual elegance. 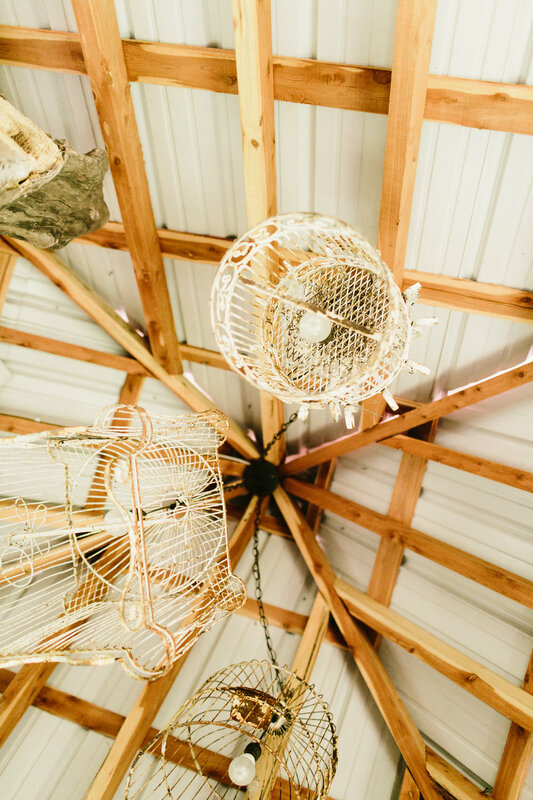 We love Chrissy and Eddie's brand of clever artistry and were thrilled that they included free-lensing shots into the day. 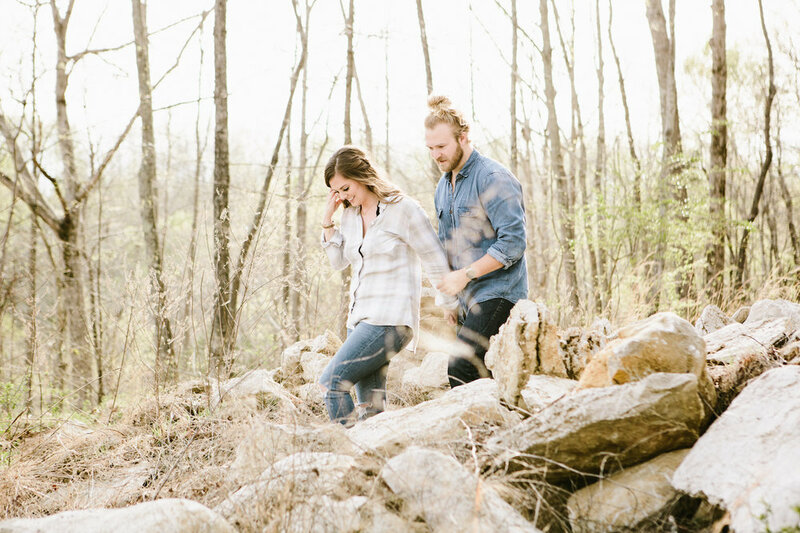 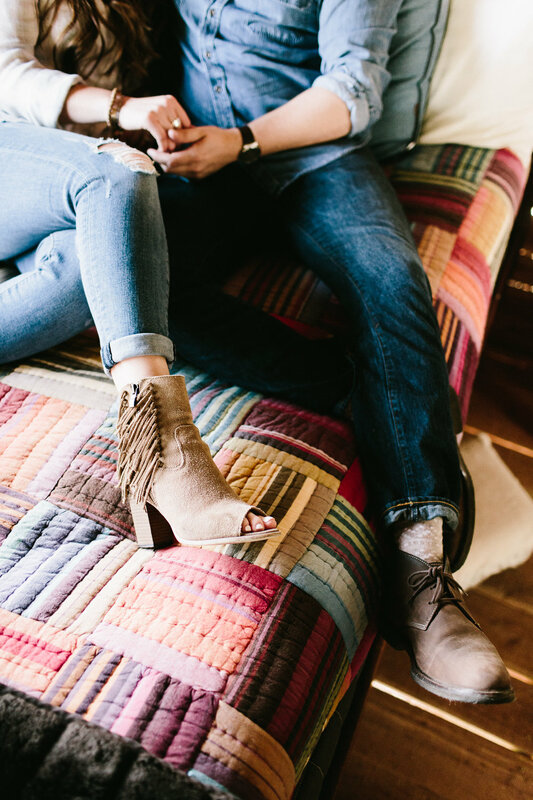 My goal was to style a shoot that reflects how Ellie + Blake spend their time. 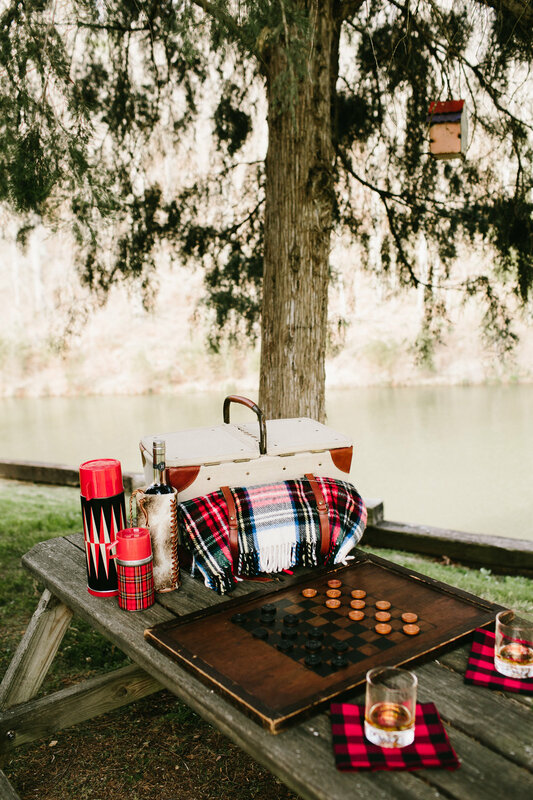 When they walked up to the picnic table set with bourbon and board games, Ellie laughed and said, "This looks like our Friday night!" 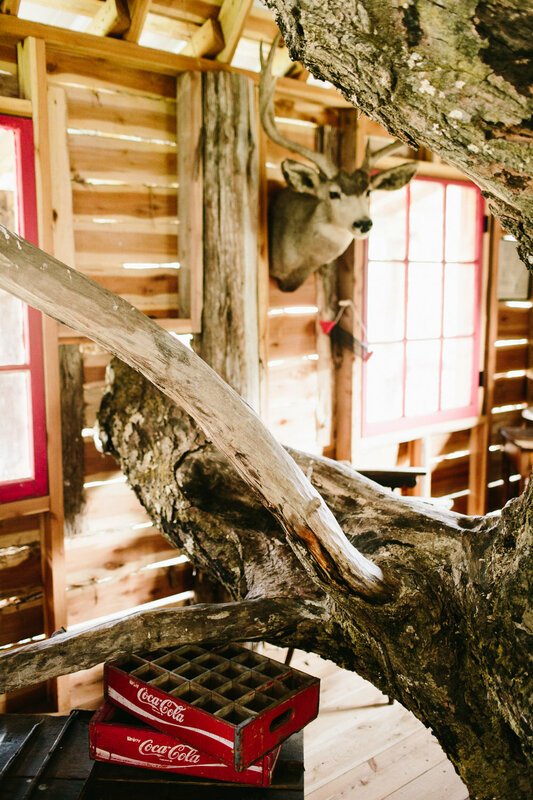 We rounded out their day with shots in Moonshine Hill's beautiful treehouse space and hiking photos in the property's woods. 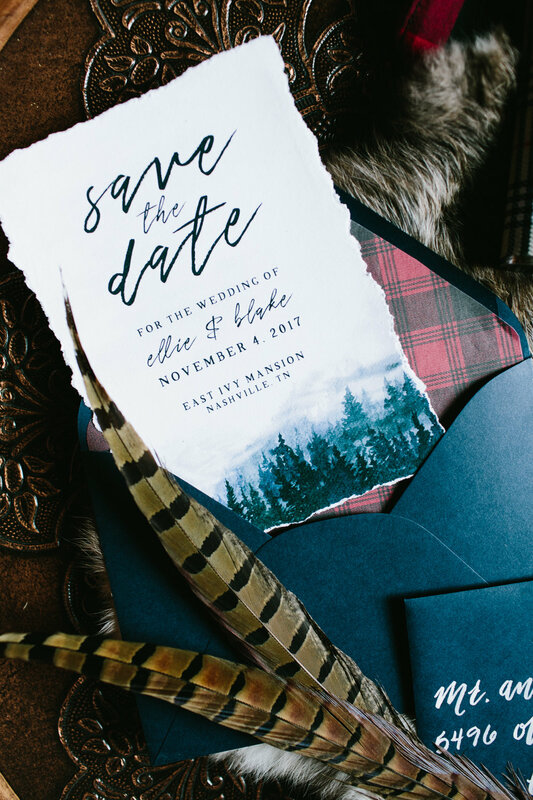 Ellie + Blake love buffalo plaid so I made sure to incorporate that element into the details. 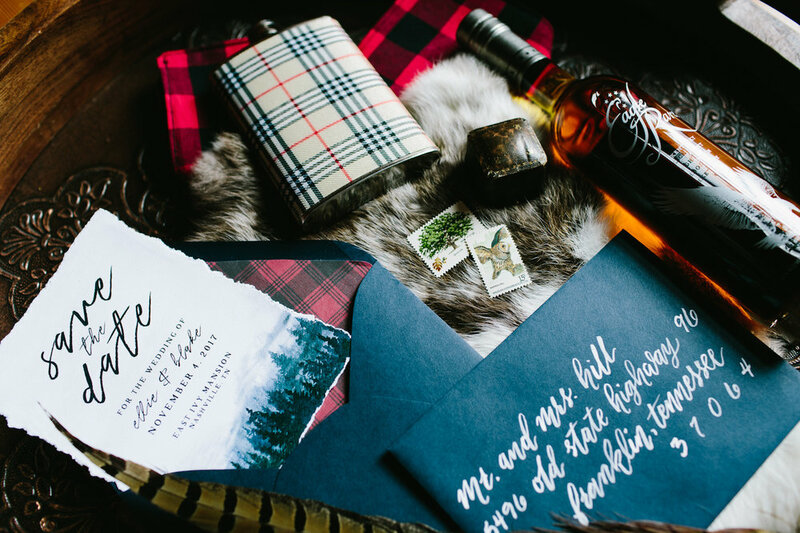 Our fantastic vendors contributed beautifully to the darker, autumn palette. 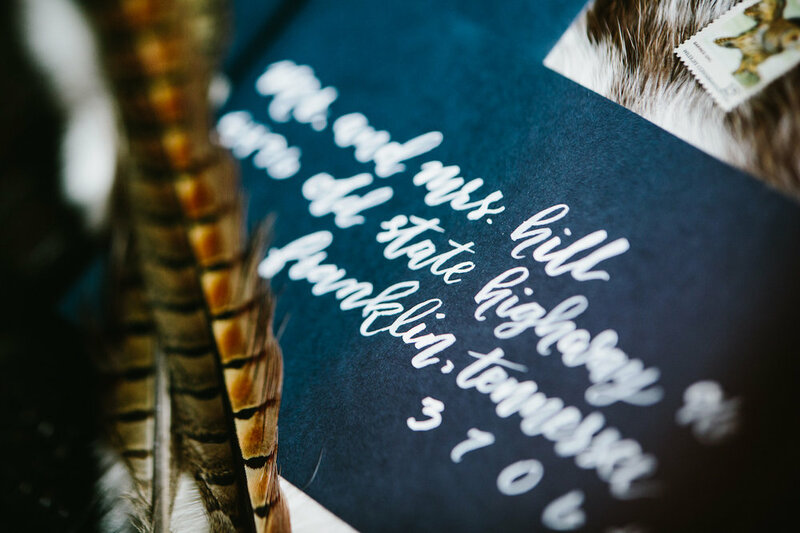 Brinkley Studio created a save the date with a moody mountain image and White Ink Calligraphy punctuated the moody look with bright white ink. 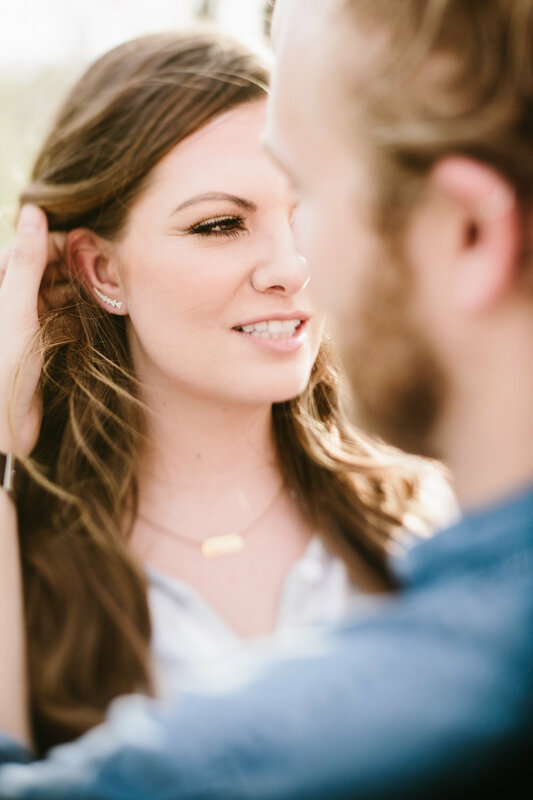 KMiller Artistry kept her makeup and hair simple and fresh. 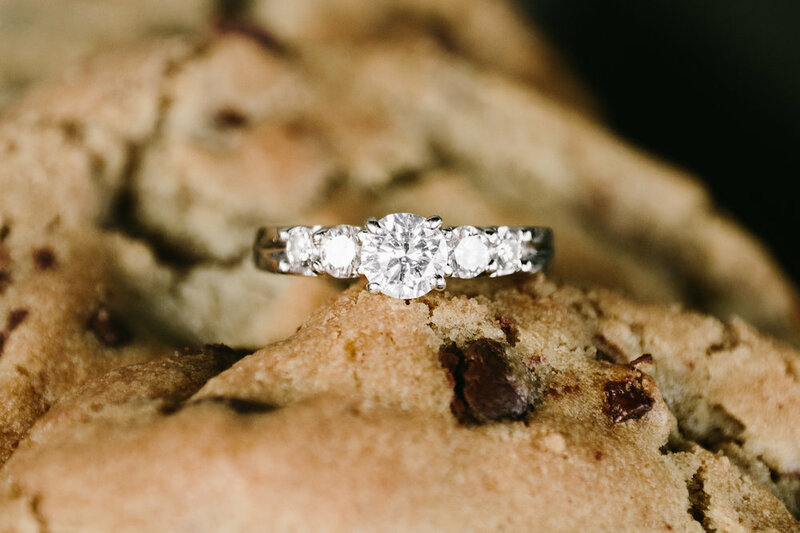 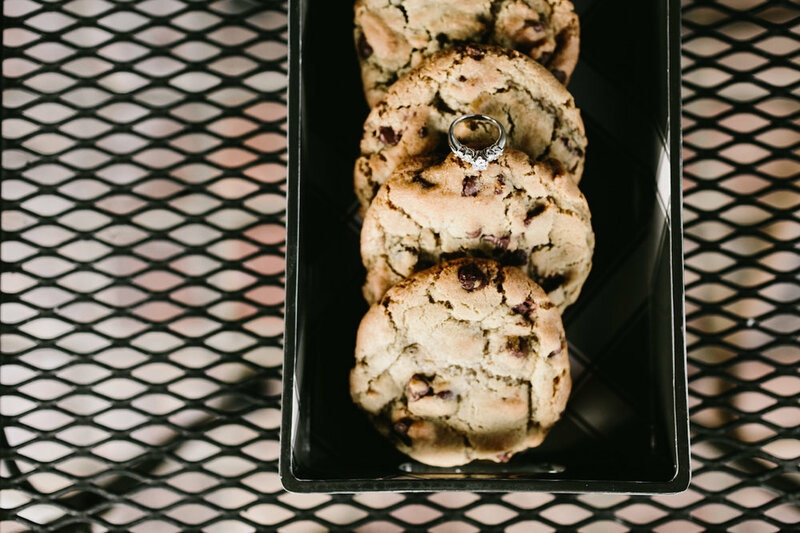 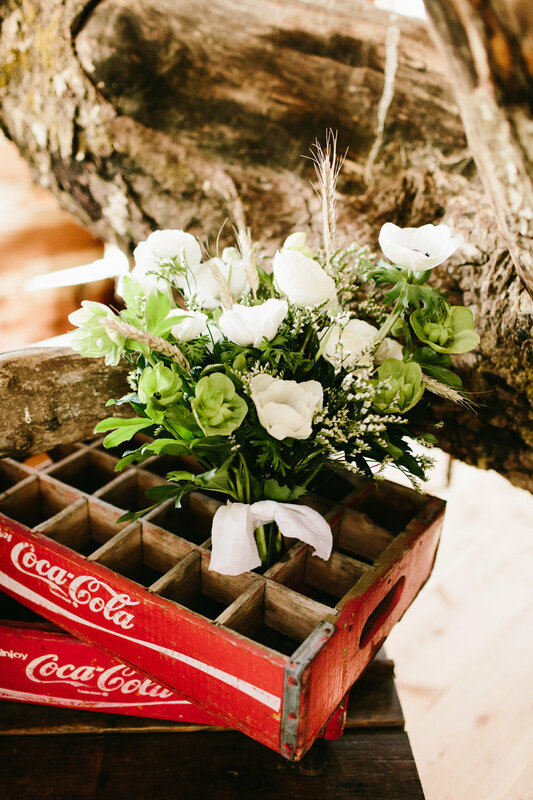 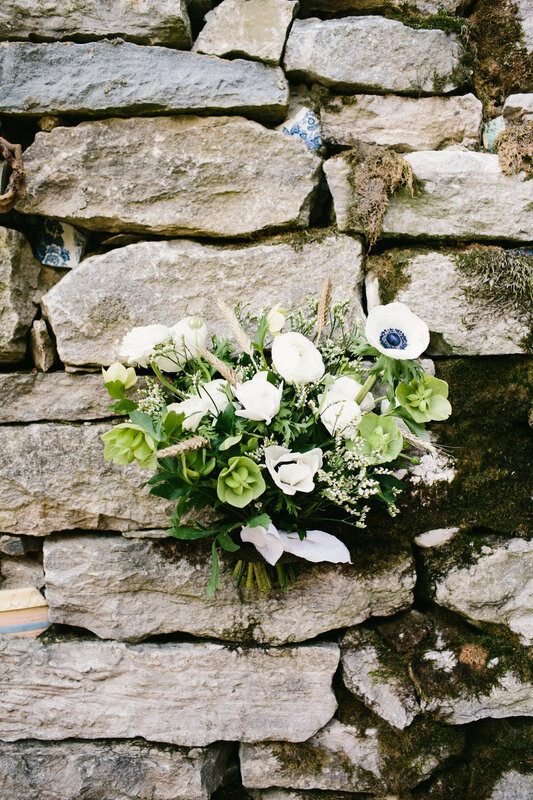 Kennedy Occasions created a beautiful white bouquet and Nashville Cookie Co. added delicious chocolate chip cookies to their picnic."